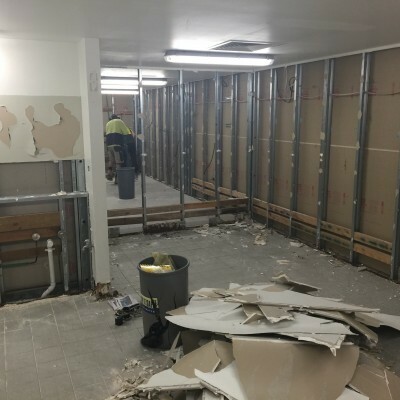 Dry area change rooms gutted - Aquamoves – Indoor and outdoor pools, fitness facilities and programs in Shepparton, Victoria. 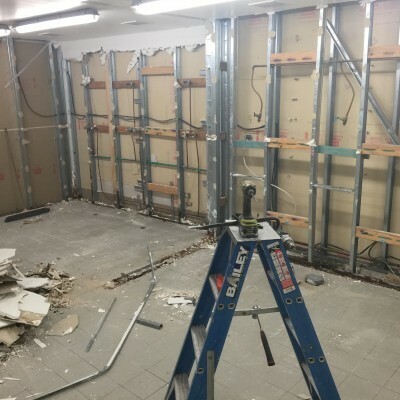 Our Dry Area change room refurbishment started last week and progress has been swift with both the male and female change rooms already being gutted. Works are expected to run through until Friday 23 October. 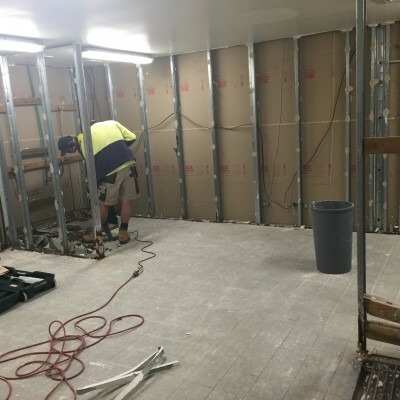 The timeframe for works is reflective of anticipated issues that will be experienced in the internal walls due to corrosion and damage. 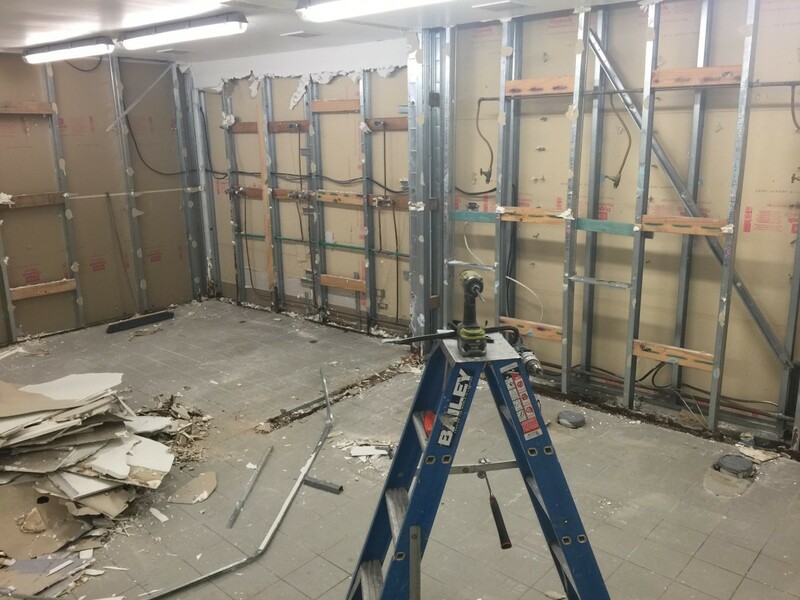 The Dry Area change rooms will be closed for the duration of works. 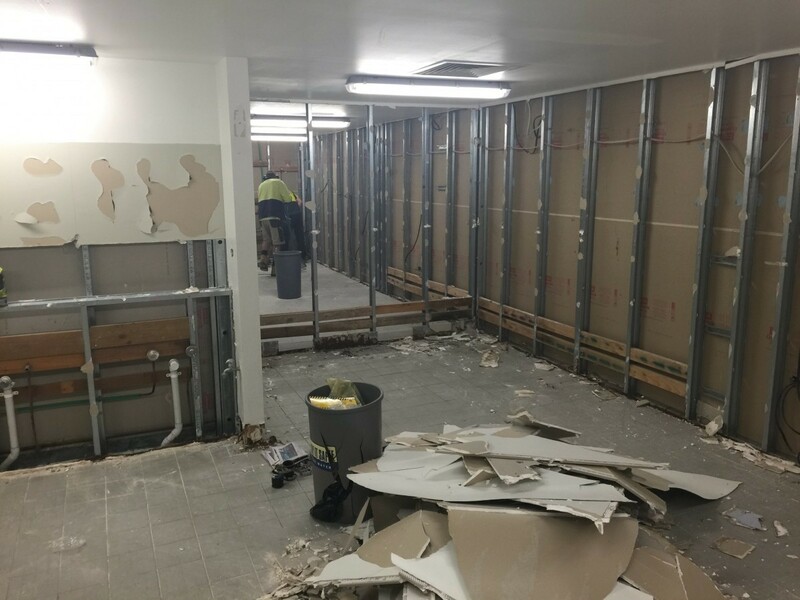 Access to the crèche will continue as normal, although the hallway will be a bit tighter as half of it will be cordoned off for works. 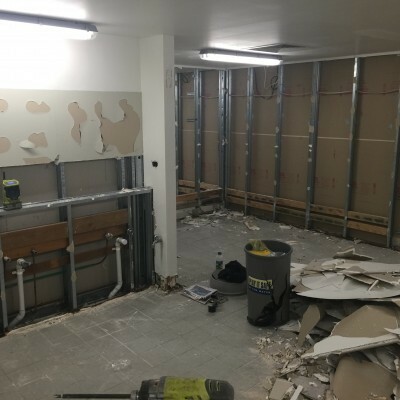 Temporary toilets will be located outside to the north of the group fitness studios (as shown below). 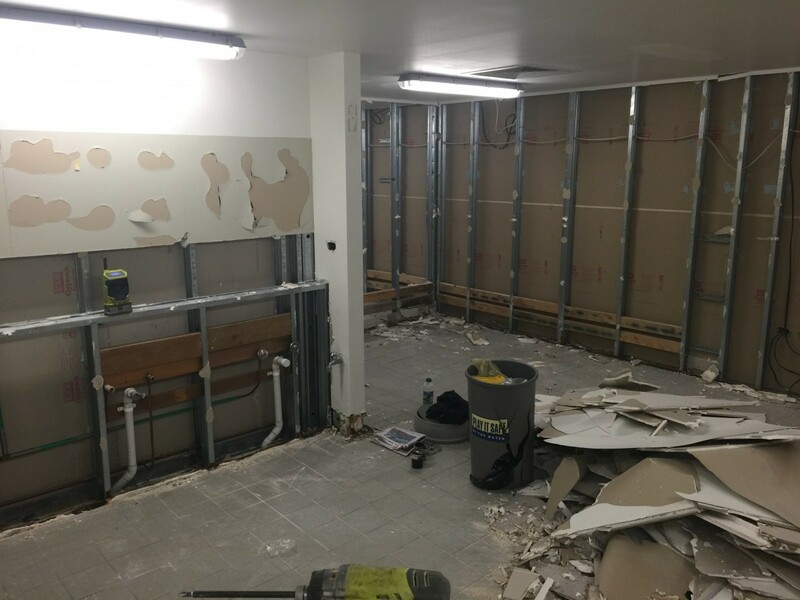 We apologise for the distance that the toilets are from the centre, however unfortunately it was the closest we could position them. We also apologise for the inconvenience that these works will cause. 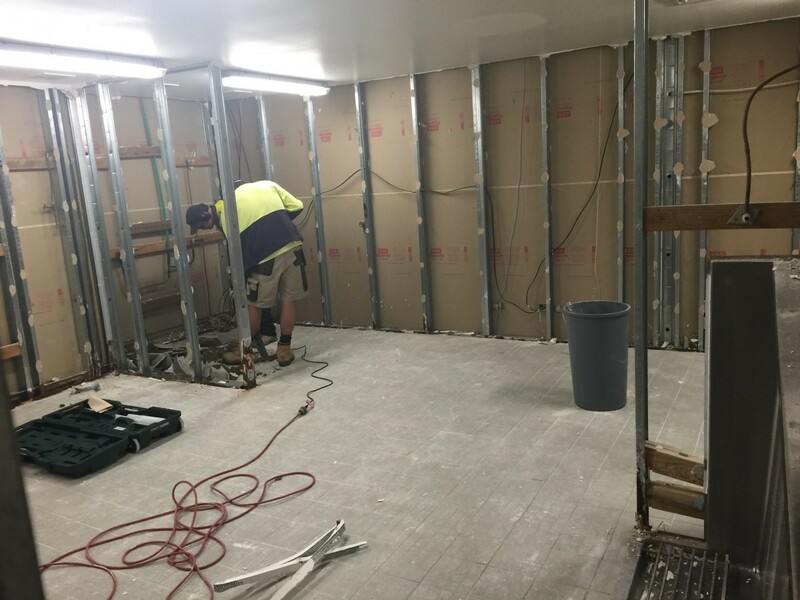 You may prefer to temporarily change your routine and shower/change at home or at work until the Dry Area works are complete.